P12 Initiative, in the Ohio State College of Education and Human Ecology, compiles a list of STEM Summer Camps, including but not exclusively, those targeted to diverse groups. Louis Stokes Alliances for Minority Participation (LSAMP) – Program to help increase underrepresented student success in science, technology, engineering and mathematics (STEM) disciplines. Minority Engineering Program – Program to help increase the graduation numbers through our outreach efforts, recruitment, retention services, and strategic programming by expose, educate, engage, and enhance the experiences of our historically underrepresented minority engineering students including African Americans, Hispanic/Latinos, and Native Americans in the College of Engineering. Women in Engineering (WiE) Program – Established in order to increase the participation of women within the engineering profession. Improving Optometric Careers (I-DOC) – An intensive 3-day residential program that introduces participants to the profession of optometry where participants can learn the fundamentals about vision health, shadow eye examinations, tour the college and clinics and gain a better understanding of the importance of diversity in health care. ASPIRE Program – Spring & Summer program that aims to provide research experience for Ohio State undergraduate students from underrepresented and/or disadvantaged groups who aspire to become medical doctors, clinician scientists, or basic science researchers by earning an MD, MD/PhD, or PhD degree. SACNAS/ABRCMS Bound Buckeyes – The Undergraduate Research Office and the Office of Diversity and Inclusion have joined forces with the SACNAS Chapter at Ohio State to offer undergraduate students from underrepresented backgrounds the opportunity to attend the SACNAS and ABRCMS National Conferences during Fall Semester. Students must be currently conducting research in STEM fields (including social and behavioral sciences). Community College Research Program – 1-year program by the Center for Emergent Materials (CEM) where students can be involved in a wide range of research projects. 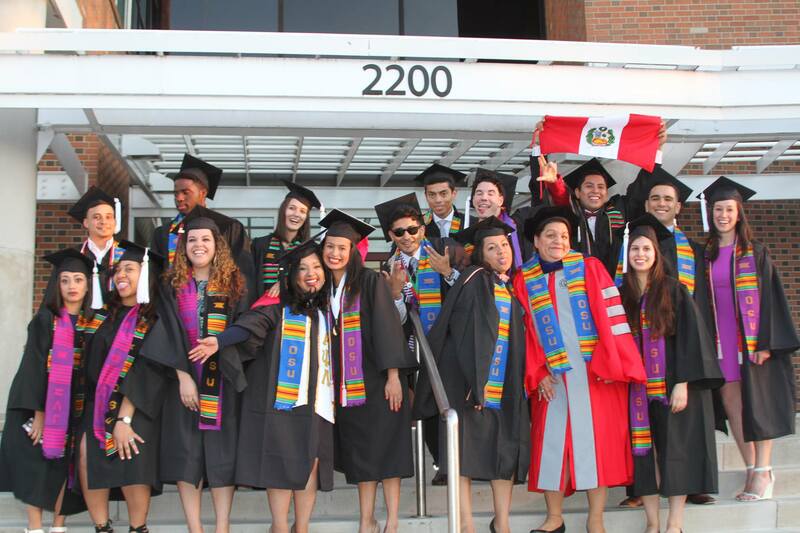 Destination Ohio State University (DOSU) Bridge Program – A post-bachelor program aimed to increase the number of underrepresented minority (URM) students who complete a bachelor’s degree in STEM majors and to make them competitive for Ph.D. programs. Discovery Prep Program – PREP is a National Institutes of Health (NIH) funded program that provides an intense research experience in outstanding research facilities with leading investigators at The Ohio State University. Discovery Scholars & Graduate Open House – This program provides funding for students admitted from the GEM Fellowship Program to the Colleges of Engineering or Arts and Sciences’ MS and PhD programs. GWIS Empower: Graduate Women in Science – National organization with the purpose of building a global community to inspire, support, recognize and empower women in science by connecting, leading and empowering women scientists to excel in their careers. Arts and Sciences Graduate Diversity Services – The Office of Recruitment and Diversity Services within Arts and Sciences works in partnership with departments, research centers and other campus units to ensure a supportive and thriving intellectual environment for diverse populations of students as they pursue advanced degrees. Big Ten Alliance Professoriate Advancement Initiative – The Professorial Advancement Initiative (PAI) is an NSF-funded project with the goal to double the rate at which Big Ten Academic Alliance institutions hire underrepresented minority (URM) faculty in the science, technology, engineering, and mathematics (STEM) fields. National Research Mentoring Network (NRMN) – A nationwide consortium of biomedical professionals and institutions collaborating to provide all trainees across the biomedical, behavioral, clinical and social sciences with evidence-based mentorship and professional development programming that emphasizes the benefits and challenges of diversity, inclusivity and culture within mentoring relationships, and more broadly the research workforce. Advocates & Allies for Equity initiative (AAIC) – AAIC is composed of faculty and staff who want to further gender and minority equity at Ohio State. Ohio State ADVANCE – to help increase the representation, advancement and recruitment of women faculty in the academic STEM (Science, Technology, Engineering and Mathematics) careers, and contribute to the development and success of global research leaders. Women in STEMM Resources – Composed of The President and Provost’s Council on Women (PPCW), Women’s Place, and The White House Collaborative on Equity in Research on Women and Girls of Color work together to identify gender inequities and implement strategies to improve Women in STEMM. Ohio State Mentoring Training – This NIH funded program allows participants from the Big Ten Academic Alliance institutions to learn evidence-based approaches to mentor training and gain the knowledge, confidence, and facilitation skills needed to implement training and customize an implementation plan for their own campus.